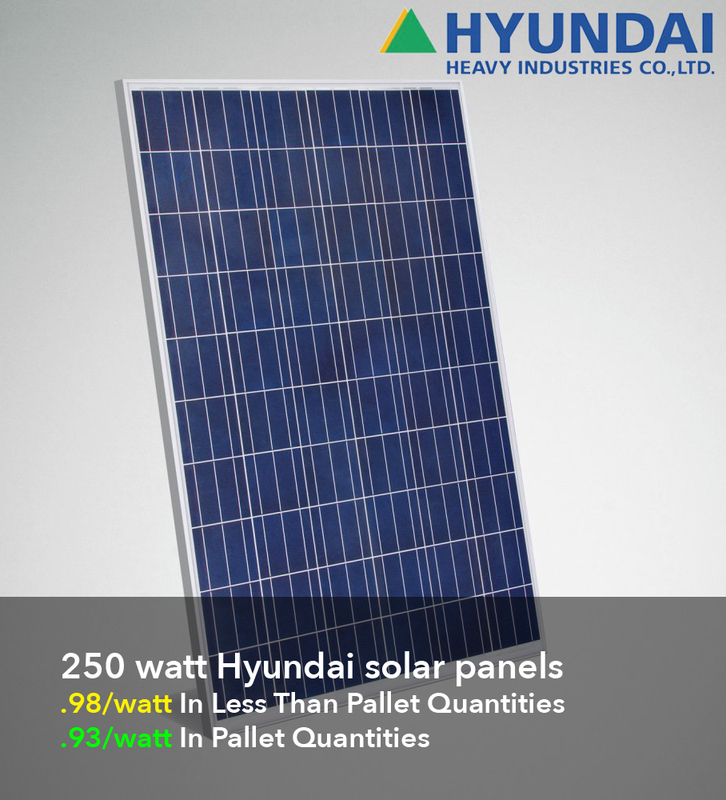 Solar panels are an essential part of photovoltaic systems. They work by converting sunlight shining on the panels into electricity. Solarhome offers the latest panels from leading manufacturers; rigid panel, flexible, thin film, and specialty options to fit your needs and make a worthwhile and attractive addition to your home. Solar Starter Kits are the perfect low-cost choice for a small cabin, backup power in an emergency, onboard a boat or RV. 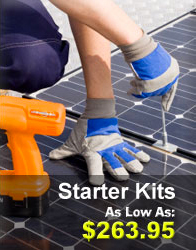 Even better, solar starter avoid professional installation costs and could still qualify for a government rebate! The photovoltaic effect is one that has been understood in some form for a long time now. 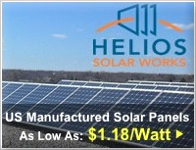 The principle on which solar panels operate is the same principle that allows our eyes to see. When some substances absorb light, they give off an electric signal. In our eyes this signal is known as transduction because the electric signal travels to the brain where it can be processed. In solar panels and other inorganic substances, the effect is known as the photovoltaic effect because the electrical signal created is not information laden the way our eyesight is. Our initial forays into photovoltaic power were not very efficient, but they didn't need to be. In space, solar panels are subjected to far greater levels of radiation than our surface panels are. This is because the Earth's atmosphere filters out the vast majority of the sun's radiation before it ever reaches the surface of the planet. The other consideration that made solar panels attractive for space exploration was that they required no additional fuel source. The light they used to create electricity would come to them for free, from the sun. Because lifting material into space is such an expensive proposition, it was easy to see why solar panels were the best power option for spacecraft from the earliest days of the space race. Down here on earth it would take several decades of advancement before solar panels became a viable energy source. The first reason has already been stated, an Earth-bound solar panel will receive much less radiation than one outside the atmosphere. The other reason is that without the cost of putting fuel into orbit, conventional means of power generation were still much less expensive than solar panels. It took until the 1990's for solar power to achieve Earth-based viability, but the research was important. Most of our power comes from fossil fuels, burning coal, oil, and natural gas. These fuels are trapped beneath the Earth's crust and are the remains of old plant and animal matter that have been pressurized over centuries. The forces necessary to trap organic matter inside the earth don't happen every day. This means that the fossil fuels we are depending on are a finite supply that is not being replenished as we use it. In short, we are using up the fuel and we will eventually run out. The question is not if we will run out, but when. So it is important to develop alternative energy sources, ones that are renewable. Before fossil fuels, we primarily relied on burning wood or whale blubber for our energy needs. This caused rampant deforestation and nearly drove many species of whales to extinction. But both trees and whales repopulate and they are examples of what is known as renewable energy. With renewable energy, as long as our use is less than or equal to the rate of replenishment, the energy source will continue to exist indefinitely. Modern sources of renewable energy include wind power, hydroelectric power, and most importantly solar power. Both wind and hydroelectric power are actually derivative forms of solar power. Wind is generated when sunlight heats different portions of the earth at different rates, causing pressure imbalances that are rectified via air movement. Hydroelectric power relies on the water cycle depositing water at the heads of our river systems. The water cycle is driven by sunlight in the same manner that wind is. Directly producing electricity from sunlight is the shortest path for energy to take from the sun to our use as a species. It is also a route of power generation with plenty of room to grow. While we are confronted with an ever shrinking supply of fossil fuels renewable energy sources such as solar and wind power each have more capacity than we have the ability to use currently, and that capacity is renewable! In fact, the sun showers the earth with more energy than mankind uses in a year every hour. Think about that for a minute: every day the Earth gets enough energy from the sun to meet our energy needs for at least the next twenty years. That is why solar panels are such an intriguing technology. They are by no means perfect yet, but each year they are becoming steadily more efficient and less costly to produce. 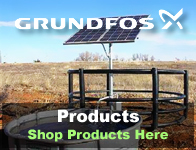 Whether you use them in a grid-tie system or an off-grid one they will provide clean, efficient energy for years to come. 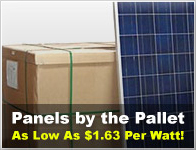 Perhaps most impressively however, the typical solar installation includes no moving parts. That means there is nothing to break down or wear out through repeated motion. A normal photovoltaic system includes the panels, also known as solar arrays, solar inverters and solar battery chargers. The panels create electricity when struck by sunlight, which is then fed to the batteries. The batteries are where the power is drawn from when you turn on a light, the microwave, or another appliance. They store the energy for use so that even during the night, or when it is overcast, you will still have a steady supply of power. These systems can be installed in homes, cabins, and even RV solar panels or boat kits for solar power on-the-go. In grid tied systems, instead of battery backup, the panels are tied to the existing power grid. When you are creating more power than you use, the excess is fed back to the grid and the power company buys it. When you use more power than you create, the power company supplies the difference. With a grid tie system it is quite common for the power company to send you a check every month instead of a bill! But we are just beginning to tap the potential of photovoltaic power. Current research into multi-junction solar cells promises to greatly increase the bandwidth of usable light that panels convert into electricity. Each substance has a specific frequency of solar lighting which it can convert; by layering several different substances over one another a multi junction cell can harvest nearly the entire visible spectrum of light, rather than just a few wavelengths. Another exciting innovation involves thin film technology. Currently, thin film panels can be made which utilize much less silicon than regular crystalline panels. But scientists are developing even more parsimonious methods of manufacture, and experimenting in silicon suspension methods too. The next great application of thin film may be solar blinds that actually harness the sunlight that hits your windows. Further down the road, we may see paints which are capable of becoming solar generators by creating an electrical charge. Imagine a world in which the exterior of buildings and even cars are put to work generating power! That ability is years from a reality, but the potential is there. 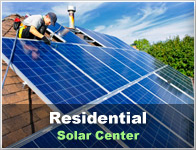 To learn more about solar power, please visit our solar learning center.